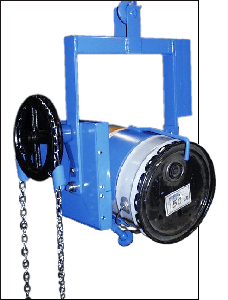 This 5-Gallon (19 liter) Pail-Karrier / Bucket Carrier brings ergonomics to below-hook pail handling. 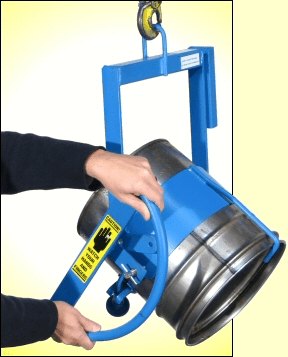 PailPRO TM Model 85-5 is an ergonomic and safety conscious below-hook can tipper to lift and pour your 5-gallon (19 liter) plastic or metal pail, 11" to 12" (28 to 30.5 cm) in diameter. 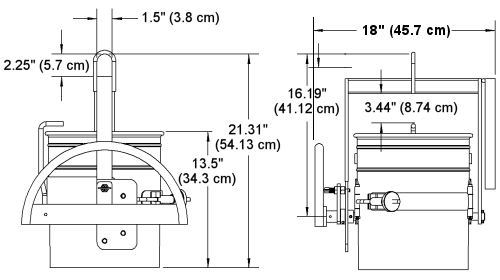 Securely clamp your pail in the holder of the 5-gallon bucket carrier, then turn the hand wheel to dispense. Turn your pail end-over-end 360 degrees in either direction. The top bracket prevents your can from slipping through the holder when inverted.